Please note that this post assumes you already have a blog set up. 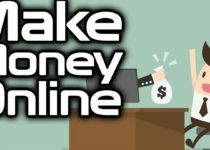 If you do not, please visit our earlier post How to Make Money Blogging Online. Many people are looking for ways to make money with their new blog online. Let’s assume that you have your niche defined and have already spent the time to start up your new blog and have written a number of blog posts. From here, you might be thinking great: I have content on my site with freshly written blog posts. These posts are creating value to my readers. The next question is, how do you monetize your new blog and ultimately start making some money from it? Below, I am going to go over a few ideas and methods you can use to start monetizing your new blog. This is one of the most common ways that you can start monetizing your new blog immediately. You sign up for an AdSense account with Google which will allow you to place ads on your new website. Google will provide you with some code that you will place on your website. Once set up, each time a website visitor clicks on one of these ads on your site, you will make money. Click prices will vary as this depends on how much advertisers are paying within Google Adwords to advertise. You can make $.25 or over $1 or more per click that you receive. It’s a nice way to start making some passive money without your blog visitors having to purchase anything. Of course, you will need a lot of daily traffic to see big results from this method. This is another popular way to start making money with a blog. Affiliate programs allow you to promote other peoples’ products on your blog. Depending on what your blog is about, you should be able to find different affiliate products to promote on your new blog. With this method, you would sign up for an affiliate network and then select the types of products you would like to promote. You would then place your affiliate link within your blog posts. Each time someone clicks on one of your affiliate links and makes a purchase, you will earn a commission. In addition to affiliate networks you can join, many companies offer their own direct affiliate programs. A good way to find out is to do a Google search online for “Name of product you want to promote” and the words “affiliate program”. You will quickly be able to see what kinds of affiliate programs they offer. Also, at the bottom of a company’s page, sometimes they will list something like “Affiliates” or “Affiliate Program” at the bottom of their website page footer. You can click on that to find out more information regarding their affiliate program. This method is going to take some more time, but can be very profitable. When you create your own product, you have control over the exact content you wish to sell. What types of products can you create and put on your blog? This can be any kind of eBook or online course. Let’s say your blog is about nutrition and you wrote a blog post about healthy eating. You might write up an eBook that includes specific recipes you have created that are both healthy and taste great too. You can then promote this eBook on your blog. You can also create a paid training course with training videos or a “how to” video series. It all depends on the niche you are blogging about and the types of products you would like to create and share with your audience. If you have a lot of great content on your blog, you can create a paid membership site. When a visitor signs up, you would bill them on a monthly basis and they would get access to your members area. If you do this, you would have to provide excellent content within your members area. This can be high quality premium content, additional tools, training on a specific topic, and an online forum or community. The membership price would have to be priced at a reasonable monthly rate to entice your readers to sign up. You could offer an annual membership plan as well and offer this plan at a discount, for those readers who are interested in signing up on an annual basis. Ask yourself this question: what types of content and resources would my readers be most interested in knowing more about? You can offer different kinds of services on your blog. If you have demonstrated that you are knowledgeable and an expert in your field, others will be willing to pay for your services. This can include coaching and consulting services, training or any kind of professional services. Your blog can be very useful for generating leads if you already have a business. If you are writing about nutrition and you are a nutritionist, your blog can be a great way to bring in new leads and paying customers. 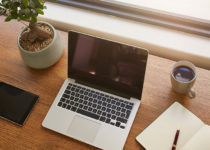 If you are writing about personal finance tips and you are a financial adviser, your blog can help you bring in new clients that are interested in learning more. If you can combine your profession to what you are blogging about, this can become a very profitable stream of income for you. The more you write, the more visitors that will come to your blog and read your content, and the more potential for more leads and customers. It all depends. See what you are most comfortable with and what works best for you and your blog. 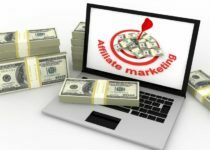 Many people start with Advertising or Affiliate Programs, since you don’t need to create any kind of product of your own. For Affiliate Programs, you could learn Affiliate Marketing with a program like Affilorama. This program will provide you with a lot of training on how to do affiliate marketing. I have written a Review of Affilorama here.